The School District of Milton School Board and Administration are dedicated to providing new and veteran staff members with strong, job-enhancing professional development throughout their employment in the district. Professional development opportunities consist of required training days, workshops and inservices; dedicated time to meet during the school week in professional learning communities (PLCs); faculty meetings; optional trainings; and attendance to external trainings including national, state and out-of-district conferences. 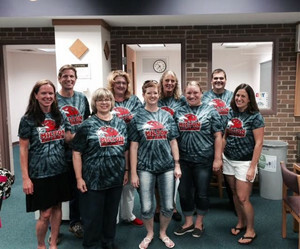 The School District of Milton Teacher Compensation Model provides certified staff members with a unique opportunity to build professional knowledge, skills, dispositions and practices through the exploration of a multitude of professional learning opportunities in the educational field. Through these educational opportunities, staff are encouraged to collaborate with administration and colleagues by sharing newfound knowledge and skills that can propel the district forward and more importantly, increase the impact on student achievement, opportunity and growth within the schools. The School District of Milton Board of Education and Administration expect all staff members to utilize the Teacher Compensation Model with honesty, integrity, ethics, and professional responsibility. Staff should prioritize the use of the Teacher Compensation Model to gain knowledge and skills to better serve the needs of students in the School District of Milton. SDM Staff: Please refer to the SDM Teacher Compensation & PD Approval Process Google Document and SDM PD: "How To Submit a PD Application Form" Google Document shared with you via Google Drive for instructions on how to complete these forms.